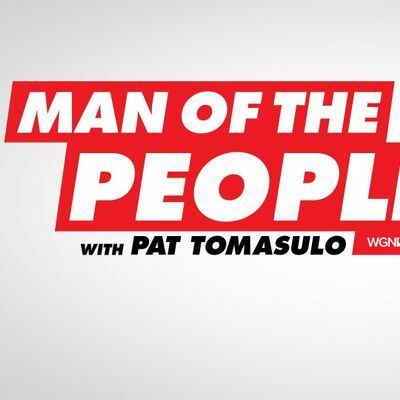 You are just a few clicks away from free tickets to a live taping of Man of the People with Pat Tomasulo at the legendary WGN-TV Studios. We want you to have a memorable experience so please read the below information before reserving tickets. There are multiple dates the show is Recorded.Click the date you would like and click the Green “Register” button. If the show you are interested in is sold out please choose another date. Everyone attending must have a government issued photo I.D., and must be at least 18 years of age. Check-in begins at 1:30PM (CT) and you must check in by 2:00PM (CT). All guests must have a ticket and be registered in advance. Only the name(s) provided at registration will be allowed to enter the station. Tickets are non-transferable. Government issued ID’s will be checked to match registration at check-in. If you are not using any of your tickets, please cancel or release them. Any seats may be blocked by cameras and crew. Man of the People with Pat Tomasulo tapes Fridays at the WGN-TV Studios beginning around 2pm. Man of the People tickets are FREE. You will need to provide the name and email of everyone in your party. Only the names of the persons registered will be allowed to enter the station. Man of the People tickets cannot be sold. Do not buy tickets from any source because they will not be honored. Man of the People tickets are non-transferable and have no cash value. Tickets may not be auctioned or sold without the show's permission. Guests are asked to line-up in the designated area beginning at noon. Numbers will be issued to each guest and you will enter the studio in that order. Please request only the number of tickets you will actually use. Show times and dates are subject to change or cancellation at any time. If you have questions that are not addressed on this page, or have lost your confirmation e-mail, please contact us at bWFub2Z0aGVwZW9wbGV0aWNrZXRzIHwgd2dudHYgISBjb20= . Thanks for wanting to be a part of the show! Ticket reservations are made through this website only. We do not deal with third-party ticket vendors or allow reservations to be sold/transferred. If you paid for your reservation or obtained one outside of this website, then your reservation is invalid and you will be refused entry. TICKETS ARE FREE. All audience members must be 18 years of age or older and present a government issued photo I.D. card (driver's license, passport, military I.D.) upon request that shows proof of birth date. All audience members will be required to pass through a security check, including a metal detector, before being permitted into WGN-TV. Backpacks, luggage and shopping bags will not be permitted in the studio. Smaller bags (purses) will be allowed but may be searched by our security team before entering the station. The use of electronic devices (cell phones, cameras, recording devices, etc.) is strictly prohibited while in the studio and you and your guests may be asked to leave the studio if they are used. Limit of six tickets per reservation. Once you enter the studio, you are required to stay for the duration of the taping. Food or drinks are not allowed in the studio. Show dress code is "Your Mom might see you on TV" casual. Don't embarrass her. Seats may be assigned at the discretion of the audience staff only. You may not select or change your seating arrangements. There will be no bathroom breaks during the show. Please use the bathroom prior to your entrance to the studio as directed by staff. Audience members MUST stay for the ENTIRE show so as to not disturb the equipment and crew on the floor during the taping. Early exits are not permitted, except in the case of emergency. The show will end at approximately 3pm. Guests with Disabilities - Man of the People is committed to making tapings accessible to guests with disabilities. Accessible seating (including companion seating) and other accommodations are provided at all tapings. The availability of accessible seating cannot be assured if the number of audience members requiring accessible seating at a taping exceeds the allotted number of accessible seats. If you or anyone in your party requires an accommodation to attend the show because of a disability, please contact us as soon as possible after receiving your ticket confirmation by e-mail bWFub2Z0aGVwZW9wbGV0aWNrZXRzIHwgd2dudHYgISBjb20=. Man of the People does not provide assistive listening devices at tapings. Sign language interpreters and other appropriate auxiliary aids and services are also not provided or if a request is made at least three business days before the taping date (Man of the People will attempt to fulfill requests received with less than three days’ notice but there are no guarantees that late requests can be fulfilled). If you have any questions, need to cancel your reservation, please contact us at bWFub2Z0aGVwZW9wbGV0aWNrZXRzIHwgd2dudHYgISBjb20= . We look forward to seeing you at the taping.